On November 23, 2015 asoc. prof. of Daugavpils University, Center of Sustainable Education Dzintra Iliško participated at the University Educators for Sustainable Development (UE4SD) project’s meeting. UE4SD is a three year project funded by the European Commission under the Lifelong Learning Programme - Erasmus Academic Networks. The project is working across Europe to locate and capture recent efforts to support the developmentof ESD capabilities of university educators. The aim is to draw on the best practices, new initiatives and usable tools for professional development in ESD for university educators. The project draws together 55 partners across 33 countries, mainly in Europe. UE4SD project seeks to establish a leading expert group in Education for Sustainable Development in higher education in Europe and will create a platform to combine and share the expertise of network partners so that they can inform policy and practice well beyond the life of the project. Its activities are closely associated with COPERNICUS Alliance – the European Network of Higher Education for Sustainable Development. Within the framework of a visit of Research Institute of Šiauliai University to Daugavpils University on October 8, 2015, the researchers of the Centre of Sustainable Education at Institute of Humanities and Social Sciences had discussions with the colleagues from the Research Institute in Šiauliai University. There were the representatives of other research centres of the Institute of Humanities and Social Sciences as well. Šiauliai University Research Institute’s researchers undertake research and expert work oriented to innovations that develop high quality research with added value in the priority areas of regional and national sustainable development and develop scientific counselling and educational activities. The Institute covers wide research areas by the research centres: Educational Research Centre, Natural Science Education Research Centre, Humanities Research Centre, Art Research Centre, Process Modelling Centre, Regional Development Research Centre, and Social Research Centre. During this meeting researchers from both institutions discussed the possibilities of further cooperation and research. World Environment Day is celebrated every year on June 5. It is one of the ways how United Nations facilitate understanding about environment issues in the world. On June 5, 2015 we celebrate the 43rd anniversary of World Environment Day and this year the slogan is “Seven Billion Dreams. One Planet. Consume with Care”. On this day everyone is asked to pay attention to environmental problems and promote understanding about environmental issues in the world. Environmental protection is the priority in EU Constitution and in the environmental sphere there are several aims: to save, to protect, to improve environment quality, to protect people’s health, to use natural resources reasonably and rationally and to organize activities for solving environmental problems in regions and in the whole world. We would like to inform you that the deadline for abstract submission for the 13th International JTEFS/BBCC Conference is extended until February 28, 2015. Daugavpils University reports on progress on participating in the International project: ESD Professional Development of University Educators New mapping report shows good practices and gaps across Europe. New mapping report shows good practices and gaps across Europe. From February till May 2014 54 higher education institutions from 33 countries across Europe were engaged in mapping the state of the art of education for sustainable development (ESD) in higher education. Daugavpils University, the Institute of Sustainable Education at the newly founded Institute of Humanities and Social Sciences is one of the partners of the project. The partners represent an area of more than 3,000 European higher education institutions with more than 24 million students. Besides identifying the status of ESD integration, the focus was on mapping existing ESD professional development opportunities for university educators as quality in higher education teaching is seen as vital for preparing students with the competences they need to address 21st century challenges. On december 16, 2014 the Institute of Sustainable Education and the Faculty of Education and Management have celebrated a new book published by Jelena Badjanova ” Holistic approach to facilitating the acquisition of musical cultural values: primary education teachers’ views ” by the German national Library (Heinrich-Böcking-Str. 6-8, 66121, Saarbrücken, Germany. LAP LAMBERT Academic Publishing (2014-09-24). 13th International JTEFS/BBCC Conference Sustainable Development. Culture. Education. ISE professor and UNESCO chair holder Ilga Salite has attended UNESCO World Conference on Education for Sustainable Development – “Learning Today for a Sustainable Future” that took place on 10-12th November 2014 in Nagoya, Japan and the8th Biennial Meeting of the International Network of Teacher Education Institutions in Okayama, Japan. As the UN Secretary-General Ban Ki-Moon has emphasized: “ environmental, economic and social indicators tell us that our current model of progress is unsustainable. Ours is a world of looming challenges and increasingly limited resources. Sustainable development offers the best chance to adjust our course ”. The conference showcased initiatives, actors, networks and ideas that were inspired by the DESD and reviewed their impact on the basis of data provided by stakeholders and collected by UNESCO. With a view to post-Decade activities, the conference celebrated the successes of the DESD, analyzed the obstacles encountered and lessons learned. Examples of good practice from all over the world provided insights into viable approaches to ESD and helped to identify key areas for future action. The topics discussed at the conference were as following: “What have we achieved, what are the lessons learnt? How are sustainability challenges addressed through ESD? How does ESD reinforce quality education? What are the strategies for our common future? On November 8, 2014, within the frame of Science school activities organized by Daugavpils University, ISE in cooperation with The Career Support Centre has organized a workshop for school students about the opportunities of a teacher’s career choice. Institute of Sustainable Education has invited Master level students and Secondary school students from Daugavpils city and regional schools of Latgale to take part at Science school. The aim of the Science School is to provide secondary school students with the opportunity to learn more about science, University’s research environment and opportunities to continue their studies at Daugavpils University. Education at Daugavpils is a priority. This is an investment in the future of the society. There are 18 secondary educational institutions in Daugavpils; therefore Daugavpils is the city of students. The largest and oldest higher education is the Daugavpils University, which has also recently become a significant centre of science. University offers new opportunities for students and teachers each year. On October 23, 2014, the representatives of Institute of Sustainable Education prof. Anita Pipere, assoc. prof. Dzintra Iliško and the researcher Ilona Mičule were invited to present a lecture and to deliver workshops at the seminar for the UNESCO associated schools’ teachers “Sustainable development – from knowledge to action: Networking, technologies and modern teaching methods” organized by the LNC UNESCO in Riga, Competence Centre “Lielvārds". Asoc. Prof. Dzintra Ilisko has represented the Institute of Sustainable Education at Daugavpils University in the Erasmus funded project “University Educators for Sustainable Development” (UE4SD) in the Czech capital from October 1-3, 2014. This was the first time all 55 project partners have assembled in one location and discussed discuss progress on the project to date, results of the mapping exercise, project management and administration, hear the perspectives of representatives from all four regional hubs, and discuss next project stages and potential involvement in the CA Conference. CONGRATULATIONS TO OUR FOUR NEW DOCTORS! On June 5-6, 2014 was the remarkable time, signified by the defence of four doctoral theses written in the Institute of Sustainable Education, by doctoral degree candidates Inga Gedžūne and Ginta Gedžūne, Jeļena Badjanova un Jevgēnijs Ustenkovs. ISE in cooperation with Państwowa Wyższa Szkoła Zawodowa w Chełmie has organized the 12th edition of the annual international scientific conference of the Journal of Teacher Education for Sustainability (JTEFS) and Baltic and Black Sea Circle Consortium in Educational Research (BBCC) – a regional subsidiary of a global umbrella network by UNESCO on reorientation of teacher education to address sustainability. Continuing the cooperation between Institute of sustainable Education (Daugavpils University) and the professor Nicolas Clough (University of the West of England) from May 16-18, 2014 the professor conducted the course of lectures for the 1st year students of professional master program “Education” within the course “Theoretical basis of the chosen pedagogy sub-branch: environment and sustainable education”. From March 7-9, 2014 at Daugavpils University, first-year Master students of education (programme director ISE leading researcher, the director of Master’s program, Eridiana Oļehnoviča) are having their first intensive learning session on sustainability and sustainable education delivered by guest lecturer Dr Nick Clough from Bristol, UK. Asoc prof. of Institute of Sustainable Education Dzintra Iliško took part at UE4SD project meeting in Great Britain, the University of Gloucestershire (UK) from February 23 -25, 2014. The project is a new education initiative planned to shake up the way teaching and learning occurs at the university level to equip students with the skills needed to counter increasing social, economic and environmental inequalities. On February 12 - 13, 2014, the leading researcher Eridiana Olehnovica and the head of the Career Counselling and Youth Specialist Centre Marite Kravala - Paulina took part in the 2nd inter-university master students’ readings in pedagogy and education “Education for sustainable development” which was organized within the 72nd University of Latvia Conference. In total 44 master program students from 5 higher educational institutions took part in it. This event is continuation of the inter-university collaboration among students and academics for science developing in Latvia, which was began in 2013, offering an opportunity for master program students to present joint research projects, discuss solutions to current issues in education as well as to develop a dialogue with a local community. The academic readings were opened by the prof., Dr. paed. P. Vucenlazdans and the dean, asoc. prof., Dr. paed. J. Dzerviniks who expressed their gratitude to students for taking part in this event. Research papers were presented in several sections, one of which was led by E. Olehnovica. Among the master level students who presented their research were Santa Upite, Anita Regza, Evita Ruluka, Alisa Ciburevkina, Sandra Ondzule, Inese Kapteine, Karina Stivriņa, Atis Litaunieks, Ludmila Groznova, and Ruta Elksne. The volunteers of Career Centre at Daugavpils University: Viktorija Daņilova, Laima Stolniece and Kristine Doveleva also took part in this event. The participants had opportunity to discuss issues concerning a wide variety of questions and plan a joint comparative research projects concerning primary and secondary school educational programs, as well as issues related to higher education, multidisciplinary and transdisciplinary research. On Wednesday, January 29, 2014, Professor Gracienne Lauwers (University of Antwerp & Free University of Brussels) has visited DU Institute of Sustainable Education (ISE) to discuss the “All Students Aboard” project about education policies to combat early school leaving of migrant students. The project intention is to transfer knowledge, give recommendations and develop materials for what the partners believe is a workable direction for teachers and education providers whose ambition is to address questions related to reducing drop-out of migrant students. For the ISE, a sustainable education system is an inclusive educational system which accommodates special needs including those of migrants and socio-economic disadvantaged pupils. Best practices and structural deficits in the educational system of the countries of he partners will be analyzed, compared and discussed. On October 29-31, the professors of the Institute of Sustainable Education Ilga Salīte and Anita Pipere participated in the fifth World Innovation Summit for Education (WISE 2010), which was held in Qatar National Convention Centre, Doha (Qatar). For profesor Salīte it was her fifth time attending this important international convention. All BBCC members and Institute’s partners are cordially invitited to take part in action research. Research findings will be shared by the research participants in Poland at the 12th edition of the annual international scientific conference of the Journal of Teacher Education for Sustainability (JTEFS) and Baltic and Black Sea Circle Consortium in Educational Research (BBCC), that will take place at State School of Higher Education in Chełm (Państwowa Wyższa Szkoła Zawodowa w Chełmie) from May 26 – 28, 2014. 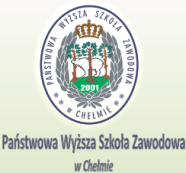 On October 19, 2013 Institute of Sustainable Education has invited Master level students and Secondary school students from Daugavpils city and regional schools of Latgale to take part at Science school organized by Daugavpils University. The aim of the Science School is to provide secondary school students with the opportunity to learn more about science, University’s research environment and opportunities to continue their studies at Daugavpils University. This year high school students were provided space and the opportunity to discuss the sustainable lifestyle and their personal contribution to a common good of the Planet Earth. From October 15 – until October 17, 2013, The Institute of Sustainable Education has welcomed two guest visitors Agnieszka Roguska and Urszula Tyluś from Siedlce University of Natural Sciences and Humanities in Poland. Guest visitors had an opportunity to meet Bachelor level “Teacher” students and to share their research on media education and on programs with children from the disadvantaged families. They had a meeting with the staff members of the Institute where they had shared their future prospectus on collaborative research. They have showed their interest in Institute’s researchers’ publications and have expressed their willingness to join the 12th edition of the annual international scientific conference of the Journal of Teacher Education for Sustainability (JTEFS) and Baltic and Black Sea Circle Consortium in Educational Research (BBCC) that will take place from May 26- 28, 2014, in Chełm, Poland. From September 6 to 7, 2013, University of Tallinn hosted the 9th seminar of Baltic and Nordic countries Comparative Research in Mathematics Education (NorBa) that gathered nine scientists from seven European countries. 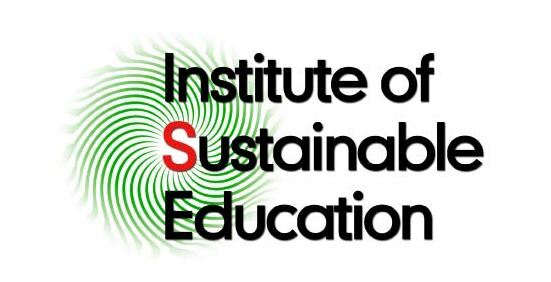 Institute of Sustainable Education continues to expand its cooperation network towards the East – a land of rich potential and vast opportunities. The first week of June was the culmination of a year’s worth of tireless effort – the 11th JTEFS/BBCC conference “Sustainable Development. Culture. Education” received its veteran participants from the BBCC network as well as welcomed new members of the growing BBCC family. The second decade of the conference began in Russia in the generally acclaimed Europe’s northern Venice, the legendary Saint-Petersburg. The responsibility for the organisation of this annual scientific forum was shared between the Institute of Sustainable Education and Saint‑Petersburg State University of Architecture and Civil Engineering (SPSUACE). The idea to establish cooperation between the Institute of Sustainable Education (ISE) and State School of Higher Education in Chelm (SSHEC) was born in May 2012 when representatives of the two institutions met during the 10th JTEFS/BBCC conference in Savonlinna, Finland. On 8 May 2013 the Institute of Sustainable Education (ISE) welcomed visitors from the University of Warmia and Mazury in Olsztyn, Poland. The delegation, whose trip to Daugavpils University was supported by Erasmus staff mobility framework, was led by the dean of the Faculty of Social Sciences, Professor Malgorzata Suswillo. The visitors discussed current educational issues with ISE staff and described the practice of teacher training at the Faculty of Social Sciences in their university. The prime asset of the University of Warmia and Mazury is its capacity to offer prospective educators an exceedingly broad spectrum of specialisation which includes early childhood education, social work, special education, rehabilitation and exceptional education as well as school pedagogy with elements of entrepreneurship. The research direction pursued by the faculty is tied to appraising the ways in which Polish education system raises to meet the complex challenges inherent in systemic, global changes of the modern times. ISE staff highlighted the orientation towards sustainability as a way in which education can be remodelled to respond to these transformations. 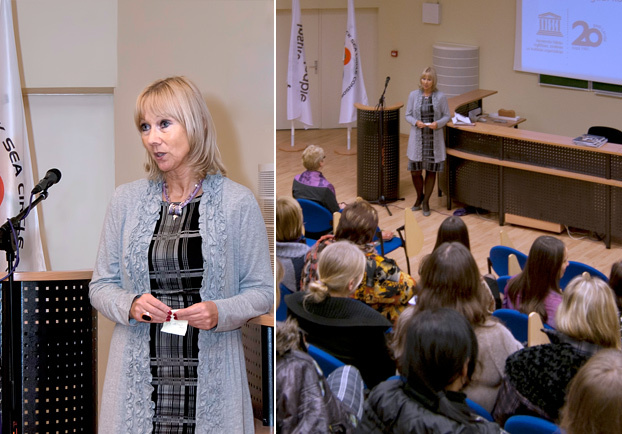 On 18-19 April 2013 Professor Ilga Salīte attended an international conference “Education for Sustainable Development in the Local Polycultural Education Area” which was hosted by Pskov State University in Russia. In acknowledgement of her renowned expertise in researching the sustainability of education, a formal invitation to deliver a keynote speech at the conference had been issued to Professor Salīte by the Faculty of Education and Social Technologies of the host university and endorsed by its rector. Institute of Sustainable Education in cooperation with the Centre for Sustainable Business at SSE Riga invited teachers and other educational staff to attend the conference “Education for sustainable development” which was held, for the first time in the Baltics, on 21 and 22 February in Riga. The objective of the conference was to promote debate on how to efficiently integrate the principles of sustainable development in the content of training of educational curricula. During 5-8 February 2013, the Institute of Sustainable Education was represented at the 5th World Conference on Educational Sciences. The fifth edition of this landmark scientific forum was held in Sapienza University of Rome, Italy. 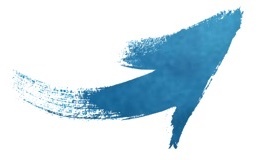 Ever since its inception in 2009, the conference aims to bring together educational researchers, administrators, teachers and other experts as well as graduate students and NGO representatives to discuss pressing educational concerns and share their insights on ways to spearhead new developments in the field. 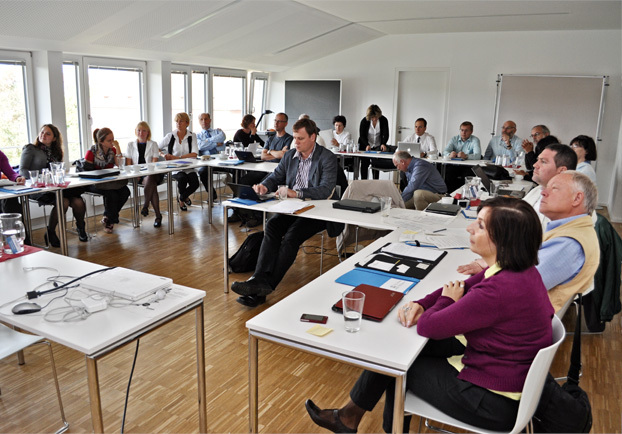 In October 2012 ISE team participated in the conference “The Power of ESD – Exploring evidence & promise” organized by Swedish International Centre of Educational for Sustainable Development in Visby, Sweden. Through analyses of outstanding practice, this global forum aimed to sustain a critical debate on key issues in education, support evaluation of transformations in educational policy and review current changes in education directed towards sustainability. Crucially, discussions at conferences such as this, however valuable in terms of lessons learned for direct participants, cannot remain just that. A follow-up with a broader outreach is a vital component in the life-cycle of any conference so that key insights arrived at can be communicated to stakeholders beyond immediate attendees. They who don't perform, talk. They who can't perform, criticise. And let their work do the talking. In the course of her academic career, Professor Ilga Salīte has displayed outstanding achievement in science. Her invaluable contribution to the researching and advancement of teacher education and education for sustainable development both in Latvia and abroad has long gained global recognition. On 25-27 November 2012 Kaunas Technological University hosted a partners' meeting in the project "Synergetic approach with eLearning, TV and mobile technologies to promote new business developments", shortly known as eBig3. Institute of Sustainable Education (ISE) implements this project jointly with Riga Technical University (lead partner), Liepaja University, Latvia University of Agriculture, Kaunas Technological University, Siauliai University and Utena Labour Market Training Centre. The project is funded by Latvian-Lithuanian cross-border cooperation programme 2007-2013. It aims to promote technologically facilitated learning that would contribute to the development of entrepreneurship in the Latvia-Lithuania borderland. The unique input of the project is tapping into the complementarity of computer-assisted e-learning with TV and mobile communication technologies. Thus, the project suggests an innovative solution to the challenge of learner recruitment and subsequent retention which is often evident in high dropout rates in traditionally implemented e-learning courses. BBCC president professor Ilga Salīte and director of the Institute of Sustainable Education (ISE) associate professor Dzintra Iliško participated in the 3rd international conference "Baltic Sea Strategy: Regional Co-operation, Tourism and Cross-Sectoral Initiatives for Sustainable Development of the Baltic Region" held on 22-23 November in Riga, Latvia. During 13-15 November 2012 professor Ilga Salīte visited the Qatari capital city of Doha to participate in the World Innovation Summit for Education (WISE 2012). Vice-President of Education of the Qatar Foundation, His Excellency Sheikh Abdulla bin Ali Al-Thani, PhD, had extended a personal invitation to professor Salīte to attend the global educational forum in her capacity of the president of BBCC (Baltic and Black Sea Circle Consortium in Educational Research). On 7 November 2012 Institute of Sustainable Education (ISE) welcomed a group of faculty from Siedlce University of Natural Science and Humanities in Poland, Siedlce. The Polish delegation was made up by representatives from the University's Institute of Pedagogy (Faculty of Humanities): Dr Ewa Brodacka-Adamowicz, Dr Alicja Antas, Dr Sergiy Nikitin and Dr Beata Trebicka-Postrzygacz. We are proud to announce the beginning of online registration for the 11th international conference "Sustainable Development. Culture. Education" organised by Journal of Teacher Education for Sustainability (JTEFS) (http://versita.com/science/education/jtes/) and Baltic and Black sea Circle Consortium in educational research (BBCC) (www.ise-lv.eu). 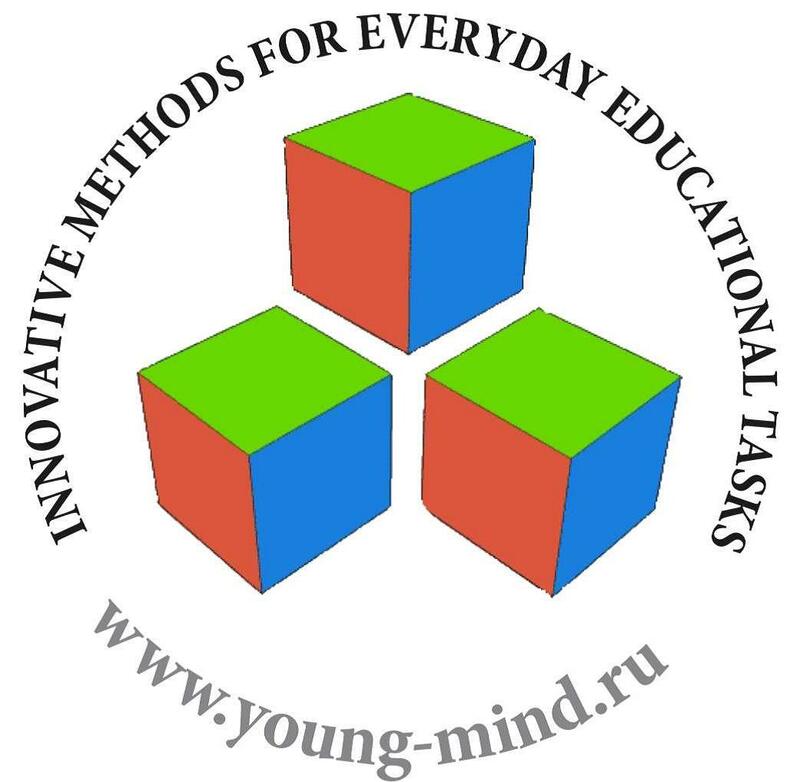 All those willing to participate in this educational forum, which every year aims to bring together researchers and practitioners dedicated to making the vision of United Nations Decade of Education for Sustainable Development 2005-2014 a reality, are welcome to submit their online registration proposals on conference website http://young-mind.ru/en/reg.php Registration and abstract submission will be open till 15 January 2012. Recently director of the Institute of Sustainable Education (ISE) associate professor PhD Dzintra Iliško and professor Dr.paed. Ilga Salīte attended the global SWEDESD conference "The power of ESD: Exploring evidence and promise", which was held in Visby (Sweden) on 24th-26th October 2012. The forum brought together practitioners of formal, non-formal and informal education, researchers of education for sustainable development (ESD) and policy makers from all parts of the world. The participants represented the Baltic Sea region (Sweden, Finland, Germany, the Netherlands, Denmark, Norway, Latvia, Estonia, Lithuania, Poland, Russia, Belarus) as well as more distant countries such as Switzerland, France, Austria, Ukraine, Australia, Canada, Jamaica, Mexico, India, Malaysia, South Korea, Vietnam, Nepal, Mauritius, South Africa, Kenya, Namibia, Zimbabwe, Bangladesh, Afghanistan, Uganda and Nigeria. The conference was structured in 24 seminars and 10 workgroups, and provided a valuable opportunity for all in attendance to discuss key issues in educational research and practice, evaluate transformations in educational policy and review current changes in education directed towards its orientation to sustainable development. This year, the end of October is a busy and exciting period at Daugavpils University - it is the week of the 7th annual Science Fair. As always, Institute of Sustainable Education (ISE) takes active participation in the various Science Fair events which, this time, run under the umbrella topic of Energy. Most notably, on November 29 ISE hosted an interactive presentation session "The energy of sustainable values in international projects: Green spiritual energy and collaborative energy efficiency". During the session, all those in attendance could learn about the experience of ISE staff in the management of and participation in a number of international projects that seek to bring together inspiration, innovation and initiative from both near and far to search for sustainable solutions to issues of immediate concern for individuals, communities and ecosystems. 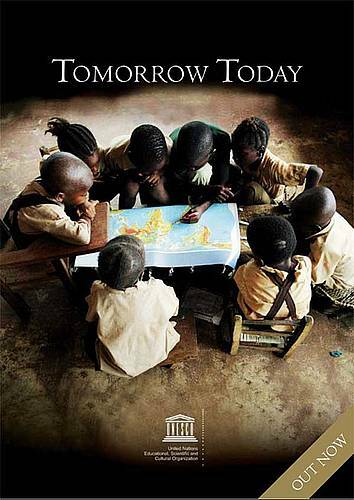 On October 17, 2012, within the UNESCO week the Institute of Sustainable Education was invited to share its vision and experience and participate in the presentation of UNESCO report on global monitoring 2012 „Youth and Skills" which was combined with reporting on the progress in reaching the goals of "Education for All" that were set forth at the Dakar forum in 2000. On October 3-4, 2012 the Institute of Sustainable Education (Daugavpils University) attended the partner seminar within the Latvia-Lithuania cross-border cooperation programme (2007-2013) project "Synergetic approach with eLearning, TV and mobile Technologies to promote new business developments - eBig3" which was held in Siauliai (Lithuania). The project is lead by Riga Technical University and it involves six universities from Latvia and Lithuania as well as a labour market training centre. Professor of the Institute of Sustainable Education Ms Ilga Salīte attended a European experts’ conference on Education for Sustainable Development (ESD) which was held at the University of Bern (Switzerland) on 3-4 September 2012. The conference was focused on analysing indicators for ESD. In the middle of June 2012 Daugavpils University had the pleasure to host a meeting of seven educational institutions from Latvia and Lithuania who for the second year running cooperate within the project "Synergetic approach with eLearning, TV and mobile technologies to promote new business developments", also known as eBig3. The project builds on three complementary, technologically-grounded ways of learning: (1) eLearning via computer and/or Internet, (2) tLearning via television and (3) mLearning via mobile devices. An integration of these three modes of learning in an innovative cross-media learning system will support already familiar Interned-based learning solutions. The first week of June was marked at the Institute of Sustainable Education by a visit from Dr Dasha Bargova representing the Faculty of Pedagogy (Civic Education Department) of Comenius University in Bratislava (Slovakia). During the fourth week of May, York University in Toronto played host to an international forum which already for the seventh time brought together delegates from the global network of teacher education institutions. This network is bound with strong ties to the UNESCO Chair on reorienting teacher education to address sustainability, established in the year 2000 at the university which now had the honour to become the venue for the seventh bi-annual meeting of network members. During 22-25 May 2012 the peaceful Nordic town of Savonlinna was a-bustle with initiative, innovation and inspiration as the local campus of the University of Eastern Finland became the venue of the 10th JTEFS/BBCC conference “Sustainable Development. Culture. Education”. The anniversary edition of the conference ran under the subtopic “Reorientation of Teacher Education towards Sustainability through Theories and Practices”. The forum welcomed more than 170 participants from 21 countries (Canada, Czech Republic, Estonia, Finland, France, Germany, Hungary, Latvia, Lithuania, Malta, Mexico, New Zealand, Norway, Poland, Russia, Sweden, Switzerland, Turkey, the UK and the USA). 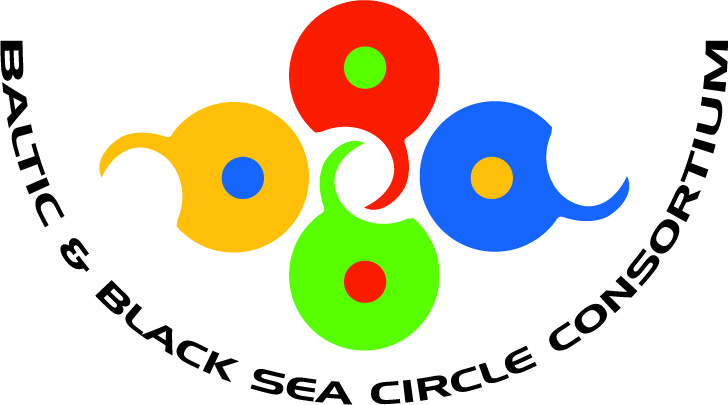 Following a long-established tradition, each new participant of the conference became a member of the Baltic and Black Sea Circle Consortium in Educational Research (BBCC) and the close-knit BBCC family extended a warm welcome to its new members by presenting them with membership cards and a round of applause. We are proud to announce the 10th international conference "Sustainable Development. Culture. 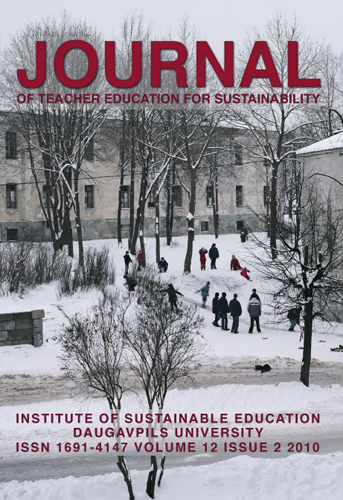 Education" of JTEFS/BBCC (Journal of Teacher Education for Sustainability/Baltic & Black Sea Circle Consortium in Educational Research) and UNESCO Network on Reorientation of Teacher Education towards Sustainability. The first conference took place at the Daugavpils University in 2003 and it was closely intertwined with the establishment of the European Network of the UNESCO/UNITWIN project. From 2004 to 2011 the Conference was organized by the members of BBCC – Tallinn Pedagogical University (Estonia), Vechta University (Germany), University of Helsinki (Finland), University of Debrecen (Hungary), Anadolu University (Turkey), Daugavpils University (Latvia), UNESCO (Paris) and Siauliai University (Lithuania). The association "Education for Sustainable Development" established in 2007 by the Institute of Sustainable Education (Daugavpils University, Latvia) will work in close cooperation with the host universities to ensure the successful work of the Conference. Preliminary list of host universities and organizations: University of Eastern Finland (Finland), Daugavpils University (Latvia), Tallinn University (Estonia), University of Vechta (Germany), University of Debrecen (Hungary), Institute and Academy for Multimedia (Slovenia), Siauliai University (Lithuania). All those institutions who feel that they can contribute to the making of the 10th JTEFS/BBCC conference are welcome to send in their proposals to the president of BBCC network prof. Ilga Salīte. The list of host universities and organizations will thus be complemented by and by as our other partners send in their proposals for co-hosting the Conference. The head of the Institute of Sustainable Education, Dzintra Iliško, participated in the World Science Forum “The changing landscape of science: Challenges and opportunities” that took place in Budapest, Hungary, on November 17-19, 2011. The World Science forum is a unique platform for dialogue for prominent scientists, policy decision makers, academics and the general public. The forum was organized by the Hungarian Academy of Science in cooperation with UNESCO, ICSU (International Council for Science), AAAS (the American Association for the Advancement of Science), and EASAC (the European Academies Science Advisory Council). In 6 plenary and 10 thematic sessions and over 70 lectures the presenters discussed how global challenges create new scientific fields, how wide is the scale of the new responsibilities that scientists need to undertake when addressing the challenges created by global crises. The speakers of the forum outlined their vision on the future of the Earth’s human population, new solutions to global diseases, and ways to bring forward a more sustainable future. A significant part of the Forum was UNESCO prize ceremony and awards to prominent scholars and significant initiatives in the world. On November 3-4, 2011 Ilja Piščevs and Ginta Gedžūne from the Daugavpils University Institute of Sustainable Education (Faculty of Education and Management) took part in the partner seminar within the Latvia-Lithuania cross-border cooperation programme (2007-2013) project “Synergetic approach with eLearning, TV and mobile Technologies to promote new business developments – eBig3” which was held in Latvia University of Agriculture (Jelgava, Latvia). The leading partner of the project is Riga Technical University and it unites six universities from Latvia and Lithuania as well as a labour market training centre. In Daugavpils University the project is coordinated by prof. Ilga Salīte, dean of the Faculty of Education and Management. On April 3-8, professor of the Institute of Sustainable Education (ISE) of Daugavpils University Anita Pipere participated in Teaching Staff Mobility and visited University of Helsinki (Finland) where she delivered courses „Research for ESD and Identity of Researcher” (for master and/or doctoral students) and „Academic Writing/Reviewing in Education” (for doctoral students). The host of this activity was the Department of Teacher Education at the University of Helsinki. Participation in the international mobility within ERASMUS program was grounded on the necessity to share the unique experience as well as to promote the international recognition of the Daugavpils University and Institute of Sustainable Education (ISE) in the field of scientific research. Suggested courses included the reflection on the results of research work by ISE and the outcomes of studies and academic work of the author of the courses. The course „Academic Writing/Reviewing in Education” was based on the experience of the author serving as the editor of peer-reviewed international journal and working on the Editorial Boards of several indexed journals. 9th International JTEFS/BBCC Conference "Sustainable Development. Culture. Education"
We are proud to announce the 9th International Conference "Sustainable Development. Culture. Education" of JTEFS/BBCC (Journal of Teacher Education for Sustainability/Baltic & Black Sea Circle Consortium in Educational Research) and UNESCO Network on Reorientation of Teacher Education towards Sustainability. The idea of Conference was suggested by the Faculty of Education and Management and the first time it was held at the Daugavpils University in 2003 when it was closely intertwined with the establishment of the European Network of the UNESCO/UNITWIN project. From 2004 to 2008 the Conference was organized by the members of BBCC –Tallinn Pedagogical University (Estonia), Vechta University (Germany), University of Helsinki (Finland), University of Debrecen (Hungary), and Anadolu University (Turkey), Daugavpils University (Latvia) and UNESCO (Paris) . This year the Conference will be organized by Siauliai University (Vytauto st. 84) in Siauliai, Lithuania. On December 16-17, associate professor of the Institute of Sustainable Education (ISE) of Daugavpils University Inga Belousa and ISE researcher Ilona Mičule attended project management meeting and project planning seminar of Lifelong Learning Erasmus intensive programme “Education for Sustainable Development: Exploring Hopeful Pathways to Preferable Local and Global Futures” held in Istanbul (Turkey). From September 29 to October 5, 2010, professor Anita Pipere from the Institute of Sustainable Education participated in the 6th International Dialogical Self Conference which took place in Athens, the capital of Greece. Already for the second time, A. Pipere was the only participant to represent Latvia and Daugavpils University with research pertaining to a new branch for the psychology in Latvia – the Theory of Dialogical Self. Whereas the study presented in Cambridge in 2008, analysed the Dialogical Self of the doctoral students of Daugavpils University; this time the international audience expressed their interest in a new study conducted with 128 master students from different study programmes of Daugavpils University entitled “Academic Motivation and Affective Organisation of Personal Meanings of Graduate Students”. An international symposium to be held in Boston in 2012 during the next Dialogical Self conference “Pushing the Boundaries of Constructivism: Collaborating across Theories, Applications, and Methods”, will be dedicated to a novel theme for the Dialogical Self Conference – the Dialogical Self theory in the context of education and A. Pipere has been invited to take part in this landmark event. A. Pipere represents Latvia also in the Dialogical Practice Network and writes for the electronic journal of network. During October 18-22, 2010 representatives of the Faculty of Education and Management Inga Belousa, Rudīte Grabovska, Mārīte Kravale-Pauliņa and Sandra Zariņa, together with 12 staff members from other Latvian higher education institutions, went on a research visit to Georgia to gain experience in designing professional development programme for mentors and preparing the necessary materials aids for the programme. The visit was organised within the project “Innovative and practice-based teacher education and mentors’ professional development”, which is supported by European Social Fund.